← Have you filed your PST return???? 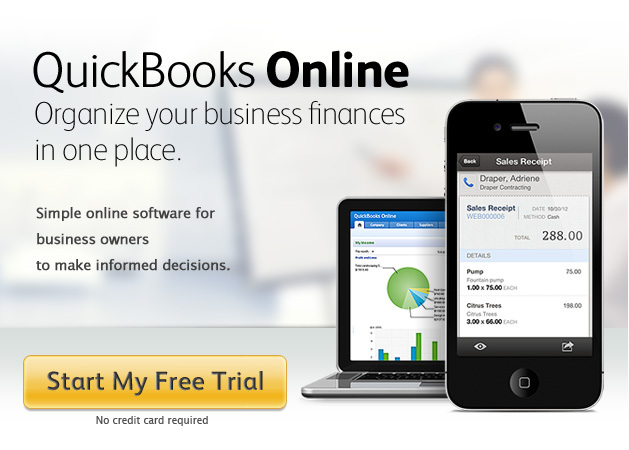 QuickBooks is now available in an online format. This means you don’t need to purchase and install software onto one computer. Instead, you access your file from any computer at anytime using QuickBooks’ cloud service. There is a monthly subscription fee, which depends on what level you purchase. One key point of the online service is that you can use a Mac, which has been a stumbling block until now. For more information, go to their website and read more. There is also a free 30 day trial. Note: at this point, there is ability to convert a desktop file to an online one, but QB is working on a conversion tool. It is unclear as to whether you can start a file online and convert it to a desktop version at a later date. Posted on July 2, 2013, in Self-employment and tagged QuickBooks, self-employed, small business. Bookmark the permalink. Leave a comment.